1) Copy the code for the ViralSweep full page. Head on over to your Unbounce account and create a new page or edit an existing one. 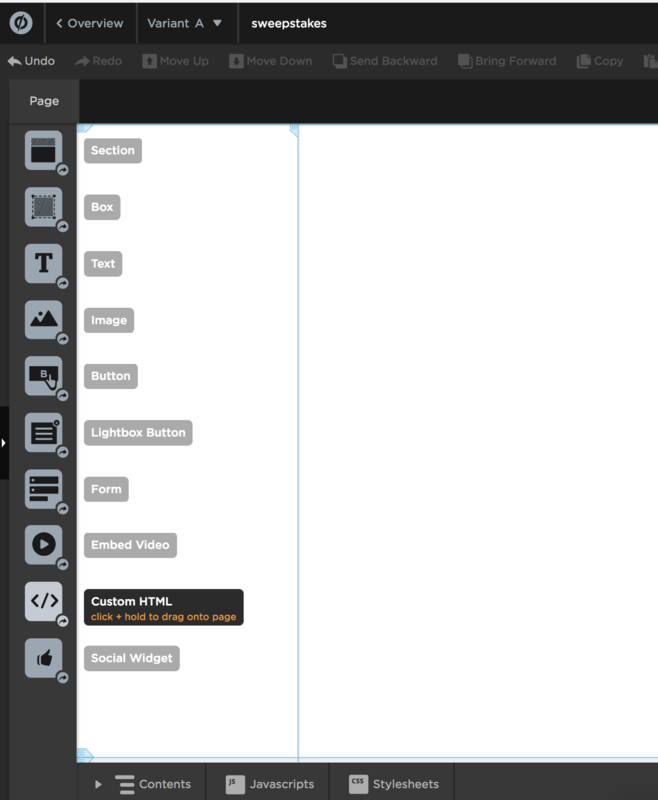 2) On the left side, select the custom HTML option and drag it into your page. 3) Within the editor, paste in your ViralSweep full page code. 4) Due to the fact that the full page is meant to be a landing page, it will end up being cut off. You will need to click and drag to make the embed larger so that it will accomodate the full size of of our landing page. 1) Copy the code for the ViralSweep widget. Head on over to your Unbounce account and create a new page or edit an existing one. 3) Within the editor, paste in your ViralSweep widget code. 4) Unbounce sometimes will make the size of the embed smaller than it should be. 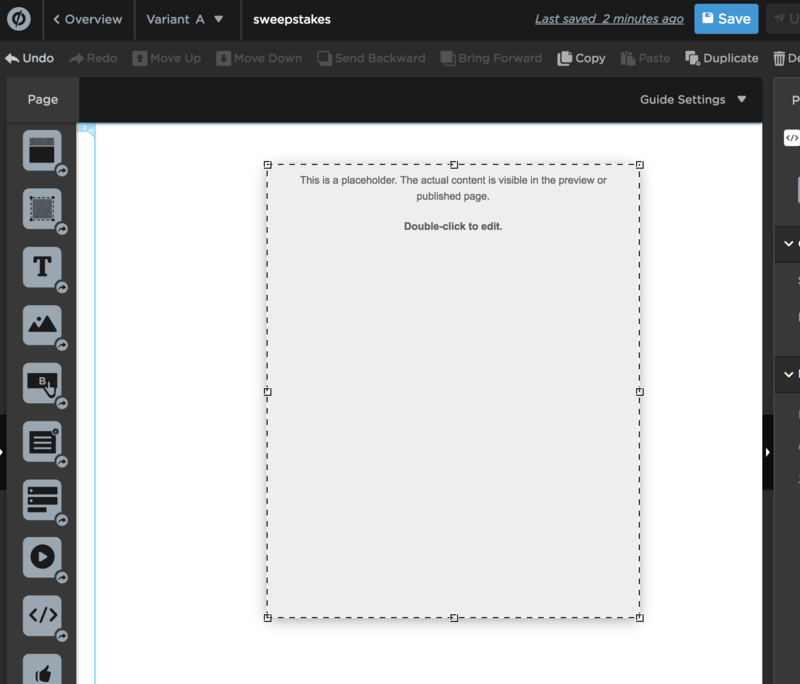 Simply click and drag to make the embed larger so that it will accomodate the full size of the ViralSweep widget. Save your page and preview it, you should see the widget on the page. Please note: If the widget is cut off, simply make the embed larger by dragging the edges within the Unbounce editor. 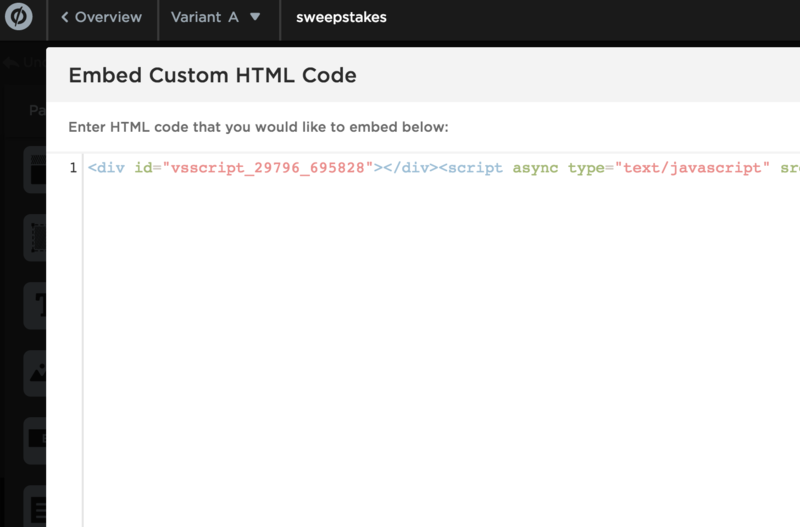 1) Copy the code for the ViralSweep lightbox. Head on over to your Unbounce account and create a new page or edit an existing one. 3) Within the editor, paste in your ViralSweep lightbox code. 4) Save and preview the page and the lightbox will pop up. Please note: If the lightbox does not pop up, this means you likely have already seen it when previously testing. You can simply switch the campaign to Test Mode and it will force the lightbox to pop up on every page load so you can test it. Still having trouble installing your campaign to Unbounce? Simply click the support or live chat icon to get in touch with us.